Another success story of the York jazz scene is the York Jazz Initiative. Spearheaded by trumpeter Ian Chalk, YJI runs several ensembles including three youth big bands, a funk band, an adult big band and a jazz choir as well as running educational workshops. Although it has only existed for a short time, several of its alumni have gone on to study at highly respected institutions such as Leeds College of Music and Chetham’s. This has led to the YJI becoming an educational partner of Leeds College of Music and receiving funding from the Ronnie Scott’s Foundation. A monthly showcase event is held at The Post Office Club and the ensembles have also played across the regions jazz clubs and festivals. In the first in a series of articles highlighting some of the UK's venues, John Marley picks out ten of his favourite venues from the North of England. The north of England has its fair share of jazz festivals. Manchester, Scarborough, Burton Agnes & Gateshead are just some of the towns & cities which host national & international talent annually. These well attended festivals bring jazz in a variety of guises to music lovers young & old. Jazz fans do not have to wait until the summer for their fix of live music. The north is littered with music venues which programme live jazz regularly. 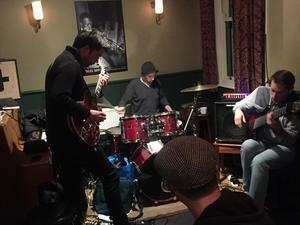 Here are ten of the best northern jazz clubs.